Stanford Advanced Materials (SAM) offers a wide range of Incoloy 800H (UNS N08810) bars or rods with competitive price. Incoloy alloy is a range of superalloys produced by Special Metals Corporation. They are nickel-iron-chromium alloys that are used for applications which require high corrosion resistant and high temperature strength. Incoloy alloys are quite similar to Inconel alloys but their different composition makes some distinctions in their applications. 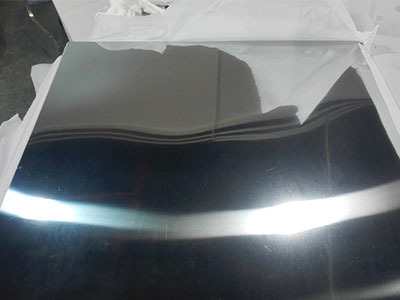 Incoloy 800H is an iron-nickel-chromium alloy having the same basic composition as Incoloy 800, with significantly higher creep rupture strength. The higher strength results from close control of carbon, aluminum and titanium contents in conjunction with a high temp anneal. The 800H modification was to control carbon (0.05 to 0.10%) and grain size to (>ASTM 5) to optimize stress rupture properties. Incoloy 800H has further modifications to the combined titanium and aluminum levels (0.85 to 1.2%) to ensure optimum high temperature properties. The alloy is dual certified and combines the properties of both forms.